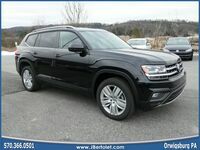 Since its introduction last year, the Volkswagen Atlas has been butting a lot of heads, being pitted against other established SUV competitors. We’ve covered some of its competition in previous installments of Atlas comparison pages. However, for the 2019 Volkswagen Atlas we’ve chosen a new model for it to face off against. It’s the 2019 Volkswagen Atlas vs the 2019 Nissan Pathfinder! Like the 2019 VW Atlas, the 2019 Nissan Pathfinder is a full-size SUV with up to 7 passenger seating. Additionally, it has similar ratings in terms of engine power, price, and other important factors. However, to find out the true victor, we’ll have to explore these specs and features in further detail. 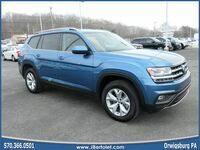 Let’s being our comparison of the 2019 Volkswagen Atlas and the 2019 Nissan Pathfinder! 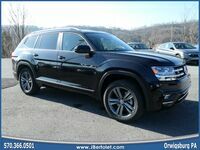 To learn more about the 2019 Volkswagen Atlas, or to schedule a test drive, please contact us. You can reach our staff online, by phone, or in person. 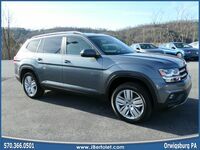 The J. Bertolet Volkswagen dealership is located in Orwigsburg, Pennsylvania within Schuylkill County. Call today and find a Volkswagen for you to love!